Did you know that Amazon’s developers have made it their goal such that any customer can visit the site and purchase an item within 30 seconds? Take a moment and really let that sink in. Never before has it been possible to go from “I want X” to “I bought X” in such a short time, especially from the comfort of your own home. This, of course, amplifies the problem of impulsive shopping. There’s nothing inherently wrong with being an impulsive shopper. If you can afford it, then by all means go for it, but when impulsive shopping starts to take a toll on your finances, you may want to nip it in the bud before it rolls out of control. The other issue with impulsive buying, particularly online, is that you miss out on product research, which could result in not getting the item you thought you’d get. Think you have a problem with impulsive online shopping? Here are some tips and tricks to help you regain control. 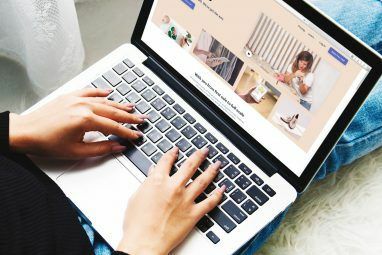 Several years ago, before online shopping really exploded into what it is today, we’d have to retrieve our wallets, break out our credit cards, and enter the details into an inconvenient online form every time we wanted to order something. Nowadays, most of that information can be saved right on the website, effectively eliminating many of the steps in the online purchasing procedure. One way to reduce the allure of impulse purchases is to intentionally bring that inconvenience back. On sites like Amazon, you can choose to delete your saved credit card numbers, shipping and billing addresses, etc. from their records so that you’re forced to enter them again per purchase. As a bonus, this also helps keep your credit card numbers safe. Perhaps the greatest innovation when it comes to impulse purchases: the “one-click buy” button. Nowadays, you don’t even need to put much thought into a potential purchase — you could be browsing the Internet, click on a stray link to a product you might be interested in, and BAM! Suddenly you have a nose-trimmer back-scratcher two-in-one headed your way. I’ll admit that I’m not much of an impulse buyer to begin with, but even I will feel the pull of temptation when I see that “one-click buy” button taunting me. That’s why I’ve disabled that feature on all of the online shopping sites I use. You should consider disabling it as well if it’s overly tempting. Somewhat related: You may also want to start shopping on sites with longer shipping times, such as AliExpress Is AliExpress Safe and Legit? Our Alibaba Express Review Finds Out Is AliExpress Safe and Legit? Our Alibaba Express Review Finds Out Is it safe to shop on Aliexpress? Are there any security vulnerabilities? Our Aliexpress review finds out whether it's legit. Read More . Knowing it’ll take weeks to get what you order can do wonders for killing shopping urges. It’s quite possible that some of your impulse buys come from the recommended items that are shown to you on most online shopping sites. Sometimes these items are selected based on your shopping history and sometimes they’re based on your browsing history. It’s impossible to know for sure, but clearing your browser history and cookies can lead to less accurate recommendations. Why would you want that? Because if the recommended items are inaccurate, then you’ll be less likely to want them. The less likely you want them, the less likely you will want to buy them. 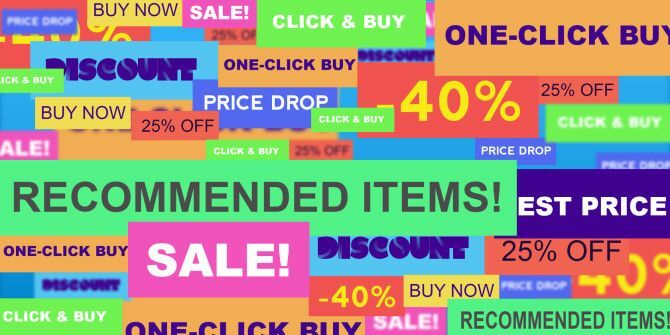 It sounds a bit silly but if you’re a sucker for item recommendations, then this might help cut out some eye-catching offers every once in a while. Most browsers have the ability to manually and automatically clear the history How to Manually & Automatically Clear Your Browser History How to Manually & Automatically Clear Your Browser History The websites you visit leave tracks on your computer. We show you how to delete your browsing history in Firefox, Chrome, Edge, and Internet Explorer. Read More . Have you signed up for shopping newsletters? If so, you’d do well to unsubscribe from as many of them as you can, as soon as you can. On one hand, it’s nice to be notified of deals and sales, some of which might actually be very good in terms of value. If newsletters aren’t a big temptation for you, then sure, stay subscribed. However, how many times have you fallen for the “I don’t need it now, but I might want it later” excuse? Or the “It’s so cheap that I’d be losing money if I didn’t take advantage of this sale” line of reasoning? Or even the “I don’t love it, but I have some spare money, so why not” rationale? I have a rule for myself: I won’t buy anything unless I actively seek to buy the said item. That means I’m not subscribed to any deals or sales newsletters because if I spotted it in the newsletter and bought it on an impulse spree, it would violate my rule and resolve. Doing the same might prove beneficial for you as well. This tip is actually the one that has helped me the most in terms of avoiding shopping impulsively, and I’ve heard that it has helped a lot of others as well, so take it for what it is: before making any online purchase, wait 3 months. If you still want it after waiting, then go ahead and buy it. If 3 months is too long or too short, feel free to change it to whatever time period works best for you. What’s so great about this tip? First, it gives you time to sleep on it. It greatly mitigates buyer’s remorse, which is the sense of regret that can come after making a purchase. Have you ever bought something and later wondered, “Why did I buy this?” That’s buyer’s remorse and it could’ve been avoided by waiting to see if you actually want the item before buying it. Second, it gives you time to research. Online purchases are inherently risky because you don’t really know what you’re getting. That monitor might look good in photos, but how is the picture quality? Those headphones look pretty nifty, but will they hold up for more than a few months? Since you’ll be waiting anyway, spend that time on research. 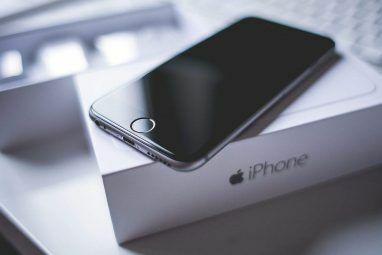 Check out our guide to online shopping The MakeUseOf Online Shopping Guide The MakeUseOf Online Shopping Guide Learn how to hunt sales and use the latest websites and tools to do online shopping the right way. Read More for tips on how to research properly. Third, it gives you time to save up. Impulse buys are notorious because they’re often bought with money that you don’t have or can’t afford to spend. If you’re waiting 3 months to buy a new TV, that gives you 3 months to save up enough money for that TV. If it turns out you don’t want a TV, you now have extra money that could be spent elsewhere. What about the magnetic pull of sales? If something is half price for the next week, you don’t really have 3 months to wait. In these cases, I like to ask myself, “Would I consider buying this item if it wasn’t on sale?” The answer will help you determine whether you want it because it’s on sale OR you actually want it. Internet technology is constantly moving towards faster speeds, improved convenience, and instant gratification. Online shopping is easier than it’s ever been, which can pose a threat to your wallet. Take the precautions above and minimize the drain that impulsive buys can have on your budget. Are you an impulsive shopper? What tips and tricks do you use to keep yourself in check so that you don’t throw away money on items you don’t really want or need? Share your thoughts and experiences with us in the comments! I'd also say: Don't shop online late at night when you're drunk - ie drunk enough to shop and spend like a fool. I have a friend (honest - I don't mean me, mostly) who has bought very unwisely when drunk, and has even bought things he already had and had forgotten about. I've been given the odd DVD by him, and ended up thinking, 'Why the hell does he think I'm interested in the definitive 1917 silent version of Phantom of the Opera in a special boxed set commemmorative edition, when I tend to like movies with Bruce Willis in them, or Arnold Schwarzenegger shooting at people?' Probably the same advice goes for shopping anytime, but I guess if you're on a shopping expedition you're usually not drinking. Ha, very good advice. I've heard an adage that says "Don't make any important decisions after midnight," which is similar to what you're saying. Don't shop unless you have a clear mind! 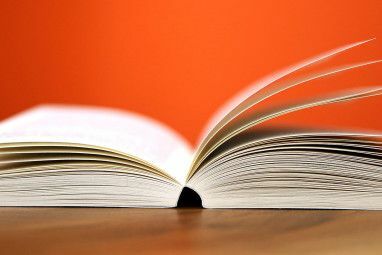 It is impossible to buy Amazon ebooks WITHOUT using One-Click. They are very very good at what they do... but that's not always good for the consumer. I wish I could buy ebooks from Amazon through the regular channels but ... not possible. Saving your CC number at Amazon is NOT a bad idea. I received a phone call from Amazon a few week ago asking if I had opened a new account with my CC number. I had not. Someone was trying to buy several items using my saved CC number and send them to a different city/state. They canceled the new account and all orders, I called my CC company and reported the fraud and they canceled my card and sent me a new one the next day. Way to go Amazon. It's awesome that Amazon caught that and notified you of it (speaks highly of their security and customer service), but that seems like an extremely rare circumstance. Removing CC info from Amazon is just a tip for those who are impulsive buyers. If you can keep it on there and not fall victim to immediate purchases, go ahead and keep it. 1. I like to shop-around by copying & Pasting the name of the item into ebay, that way you can get a pretty good idea if it's a good buy. 2. Another way is when I'm going through "those eMails", if I find something I like, I go to the page in my browser, and just leave it open until I've 'vetted' all emails for that day. Then I can go back to my Browser and delete the crap I "don't really need"! As a rule, I am not an impulsive buyer but were I to be tempted it would be more by what I see in the stores than online. It is good that you are making people aware of teh downfalls of impulsive buying. I use a pay as you go card. If I want something I have to go out and load the card with cash. I see your point especially with Amazon's one-click shopping and saving your credit card info. When I had to enter it each time it made me think about it more. I promise to delete that info and stop all shopping newsletters coming to my inbox! I know there are times I'm definitely a shopping -nut, but now being retired I can't afford to be that way anymore! Thanks for making me more aware of my bad habits! Actually, from my experience, my impulsive buying is highest when I buy from stores in person. When I'm online I tend to be more of a "best deal for my money" kind-of guy. That's funny. I'm sort of the opposite since a retail store feels more like "it's now or never" since I probably won't be back for a while, whereas with online deals I mostly know how long I can wait before the deal ends.